Each project has registers held as files. 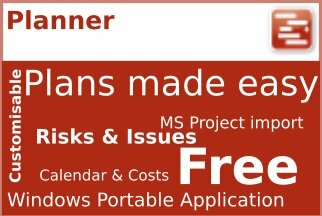 Users can have their registers as excel files or use the free risk and issue management features in Planner. Having your registers as standalone files gives you great flexibility about how you use them. You can take them with you to a meeting or even send them to external people to update via email. The project knows which managed files are the sources of risks and issues. When these are checked back in as an updated version data is auto extracted to the project controls database built into the application. Therefore the database has information on all the latest risks and issues from all projects and programmes held together. 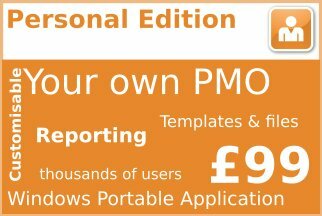 You decide who can see or edit the registers using the permissions model. Therefore keeping your Risk Management and Issue Management processes consistent. New in 4.4 you can edit your Planner risk and issue registers from a browser. This means you can update them from any device including phones and tablets. Depending who you are in the system you will have access to see and analyse this current information. You see the risks and issues that you are involved in. All users can see their own involvement in risks and issues. You can also see risks and issues collected across programmes and portfolios if you have permissions. 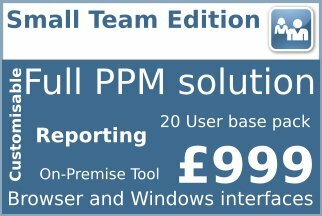 The powerful display features allow you to see and analyse the data and have the unique ‘View’ capability to use pre-configured analysis to apply filters, change ordering, change column displays etc so you can repeat standard analysis types i.e. all risks with a probability of >50%, which are open and have no formal responses set. What’s even better is that you can also create your own custom named Views and save for your own use, or share with others if you have enough permissions. You can save your analysis to include in a report, using the saved View feature if you want. You can also print or export the data to csv for your further use. As usual PROJECT in a box, great out of the box and available for you to personalise to your needs. So you as an organisation decide your Risk Management and Issue Management approach. Good communication is essential for effective Risk Management and Issue Management. 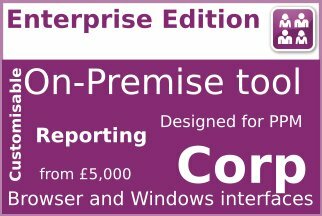 Reports can include standard analysis of Risks, Issues and Quality information based on Views. These reports can alos include multiple data returns based on different views in the same report. You can adjust these settings so you can set up a report you like. For instance for the Project team which show all issues created in the last month, all issues not closed, all issues with overdue responses. You then save your favorite report as a template so others can also use it. you then use these same saved reports as Dashboard elements for effectively live display of current position per project or portfolio. Users can choose to have multiple registers for risks and issues on each project if they wish. 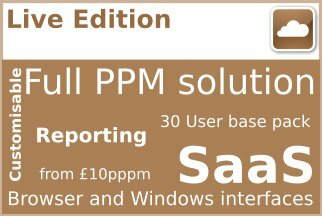 Customers commonly also use an Issue log format to collect Actions for their projects. 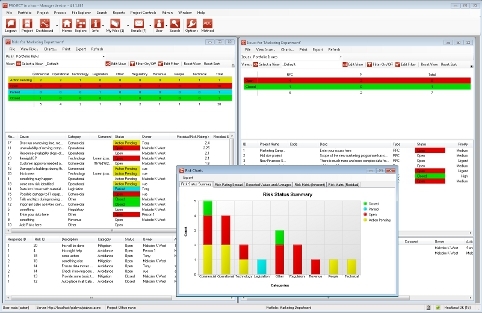 Then using the views capability to then filter them differently into Dashboards and reports. 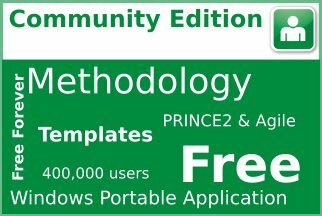 Community Edition – Full set of logs and registers provided in the method templates. 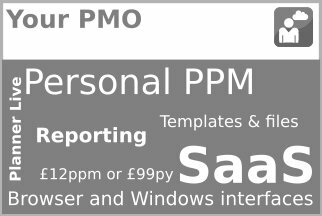 Personal – Full set of logs and registers provided in the method templates. Reporting production capability as described here except for edit from Browser.